Too often gifted leaders “melt down” in the stress and pressures of their work. How can we as busy Christian publishing staff and writers be fruitful in our work while still keeping the proper balance in life and avoiding burnout? In this workshop you receive guidelines to live by, rhythms that enhance spiritual and emotional health so that you may minister effectively. How on earth do you compile a reference book? Where do you start? How do you ensure a consistently high standard of work, especially if you have several different contributors? How do you manage the whole project and work efficiently? Keeping to budget and schedules are essential, and we discuss ways of achieving this. In this interactive workshop, we work through various stages of reference-book compilation. Martin Manser has compiled over 200 reference books in a career spanning more than 40 years. He shares mistakes and lessons he has learned. In this workshop for editors and designers, you learn how to instruct illustrators. The workshop studies existing books to explore how words and text can complement each other. Participants then use a manuscript for a children’s book to create a brief for an illustrator. Developing your own original titles is crucial for selling subsidiary rights internationally. But buying rights to supplement your own titles can be profitable, too. This session will help you understand the opportunities in the buying and selling of rights, how to acquire rights, and the responsibilities and processes necessary to facilitate a successful selling rights program. editors in different parts of the world have encountered and overcome. 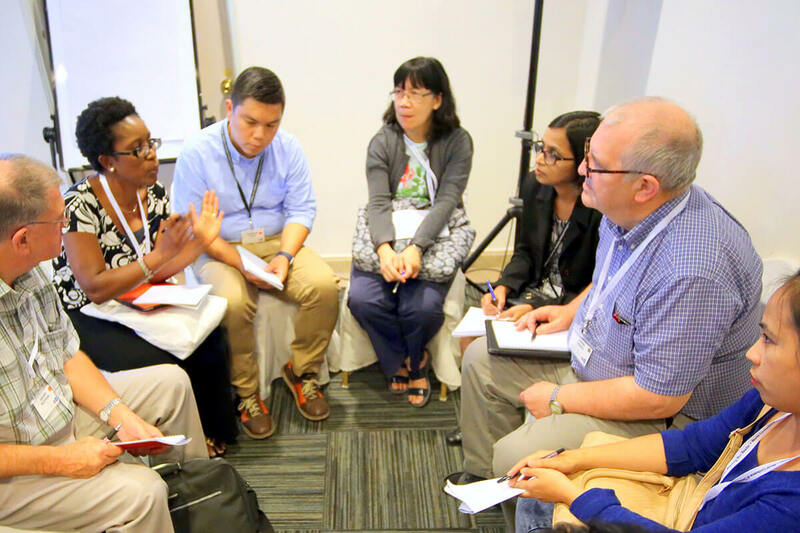 LittWorld 2018 offers core workshops in eight different tracks (listed below). These workshops will be held each morning of the conference. You will select a track and stay in it for the four workshops. Core workshops provide an integrated approach to learning and give you the opportunity to build relationships with others in your track. Some core workshops will be repeated as elective afternoon workshops that anyone may attend. This workshop list will continue to be updated. Learn the best way to organize and structure your publishing house, while being agile yet focused on financial and ministry growth. One management expert describes the “80:20 effect” as when 20% of our efforts produce 80% of the results. Unless we are proactively prioritizing, planning and managing our resources and taking control of what we can control, we are not as productive as we should be. Understanding what you need to control goes a long way in keeping your ministry afloat. New titles are a must for a thriving publishing house. How do you determine which titles might have bestselling potential for you, and which might be duds? Join us for practical tools and tips to help you develop, select and evaluate strong titles to increase their chance of becoming profitable, steady sellers. How do you balance “commercial and profitable” titles with those that are “ministry and needed-by-the-church”? Where and how do you invest your resources to achieve both your business and ministry targets? This workshop helps you determine which sales mix produces the best results. Why do we communicate? What are we really trying to say? Who are we talking to? These foundational questions need to be answered before any marketing activities are done. In the first session of a two-part workshop, we focus on marketing objectives, key messages and target audiences. The workshop is informative, yet also practical with templates and exercises for participants to apply to their own situations. Now that we’ve covered the why, what and who, the second session of this workshop looks at the where and how. The channels we utilize and the content we deliver need to be considered intentionally. We will discuss various communications channels, content do’s and don’t’s, and how to integrate it all strategically to make the most of our efforts. We will also discuss how to develop and execute a social-media strategy that produces loyal fans. In the digital age, an excellent website is still an effective marketing tool. It is the base where your readers search and learn about your books. What are the qualities of an attractive and engaging website that generates interest and sales? Experts say, of all digital marketing tools, email marketing produces the best “Return on Investment” (ROI). Learn the basic steps toward implementing an effective, targeted and sustained marketing program that reaches your readers’ inbox. Rapid changes in technology have dramatically revolutionized book publishing, making it potentially faster, more cost-effective and far-reaching. Learn the trends and tools for publishing in the digital age. How do you create and distribute multilingual ebooks that comply with current standards and function well on major platforms worldwide? This session covers both production and distribution, since half of the issues in ebook distribution have to do with correct production. The other half involve financial infrastructure—making and receiving payments. Is zero or near-zero print inventory possible? Yes, through print-on-demand and short-run printing. Print is not dead. Printed books still outsell ebooks worldwide. How do you actually make print-on-demand technology work for you? Which suppliers give you the best deal? Where do you find them? You worked hard on your book or your story. But when you released it to the public, you likely were disappointed in their interest. Thankfully, there are tools to help you understand when to re-promote your content at the time Internet users are ready to finally read it. Christianity Today's Jeremy Weber shares the secrets he's learned over 10 years of monitoring Twitter, Facebook and Google. If working in a country where books by Westerners sell well, a publisher with limited resources may hesitate to publish local writers. How can a Christian publisher turn the tide from primarily Western titles to excellent locally-authored ones? Where does a Christian publisher begin to attract and nurture local authors, and what does it take to stay financially viable over the long haul? Joy shares from her experience at Church Strengthening Ministry (CSM Publishing) in the Philippines, a former denominational publisher that worked toward zero subsidy and now produces both church-based curriculum and non-fiction titles in the Philippines. Learn the art of evaluating and editing a manuscript that shines in clarity and expression, and connects meaningfully with your intended reader. When editor and author discover the treasures of trust, mutual respect, commitment, communication, and collaboration, the result can be more than a good book. This partnershipbrings rewards beyond words. Managing yourself effectively as an editor is a key aspect of an editor’s role. It’s all too easy to become overwhelmed by the sheer volume of the work—both in terms of all the necessary editorial tasks and also the number of different projects that you might be juggling. In this interactive workshop we explore different ways of making the most of your time, not only from the viewpoint of the big picture but also from the details of micro editing. The topics include planning, tracking projects, staying focused, minimizing distractions, dealing with interruptions, working with your boss, and making the most of office technology. We use case studies to explore traditional publishing, self-publishing and custom publishing, plus the advantages and drawbacks to each. Because control has shifted from publishers to authors in recent years, you learn: how to decide which approach to take for your next project, the secret to success no matter which publishing option you choose, plus the costs and benefits of each option (in time, money and opportunity). Book publishing is a complex process; this session keeps your project on track with sound counsel from a 38-year publishing veteran. When covering a topic, how are Christian writers different from non-Christian writers? A Christian writer tries to think like a Christian in regard to the issues that arise. That may lead to asking different questions and prioritizing different elements. Evil, corruption and cruelty. Integrity, justice and forgiveness. Creativity, grassroots compassion and digging for root causes. Grief, anger, restoration and renewal. In life we encounter all these realities. Knowing a little about who God is, what human nature is, and what humans are called to do in this world will help us write better stories. Sample articles will provide examples of how to do this. Non-fiction biography is the bread-and-butter of freelance writing. Whether you are contracted to write someone else's life story or are writing your own memoir/life experience, this workshop walks you through: the practicalities of interviewing and working with clients, researching background data, choosing and organizing what to include, balancing vivid storytelling with chronology, setting, spiritual application, and practical reader takeaway. Then learn how to weave it all together to create a compelling narrative that readers can't put down. "How beautiful are the feet of those who bring the good news!" exclaims Paul, the writer of Romans. But, many times the Gospel is written and packaged poorly (or "in your face") so that the world does not roll out the welcome mat to materials written about the Gospel of Jesus Christ. What can we do to make our writing more relevant and engaging in today's context? 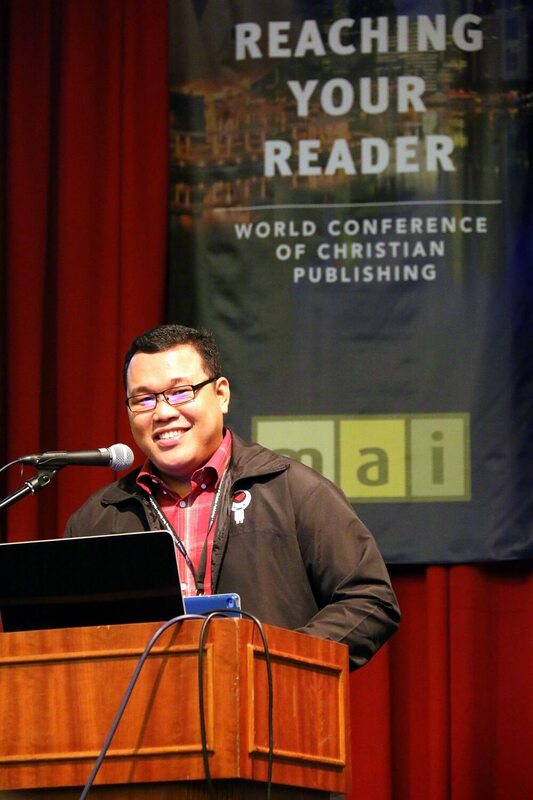 Join bestselling author Ardy Roberto (Real Men are POGI), as he explores the Whys, Whats, Whos, Wheres and Hows of writing in an engaging, encouraging and inspiring format and style in order to evangelize. A compelling story lies not only in who, what, where, and when, but how and especially why. Inciting incidents, interweaving plot lines, conflict, character-driven versus plot-driven, rising and falling action, climax, and resolution are among the elements necessary to tell an effective story. How to weave facts, real-life experiences, faith and historical events into fiction to create a compelling story that shapes lives. Are your protagonists skeletal stereotypes designed simply to move along your storyline, or are they living breathing persons you’d recognize immediately? Skillful development of character, dialogue and point-of-view will help you add flesh and soul to the bare bones of your characters. Any place, time or setting carries the germ of a story. But how to weave a world, whether contemporary, historical or fantasy, that you can see, smell, taste, touch and feel? Learn practical principles for building a firm and authentic foundation for your fictional story. Magazine publisher, know thyself: For effective magazine publishing, we need a clear statement of purpose and objectives so that we’ll be consistent from issue to issue. Plus, we need to define a specific audience and get to know the audience well if we expect them to keep coming back for more. This workshop provides valuable tools to help you and your staff build a stronger identify for your publication, including how to write a mission statement and make it work. A periodical’s strength is measured by the loyalty of its readers. Under the leadership of founding editor Daniela Encheva, Leah women’s magazine has developed a uniquely close following of readers across Bulgaria. In this workshop Daniela shares her secrets for making friends with your readers. Founded by the late evangelical Billy Graham, Christianity Today is considered one of the world’s most respected Christian periodicals. The magazine’s influence has grown through its expanding online presence. Christianity Today now reaches 150,000 readers in print and 5 million online monthly, with one-third of those coming outside the United States. Deputy managing editor Jeremy Weber, who has been instrumental in building the magazine’s digital outreach, shares tips and insights on taking your magazine online. 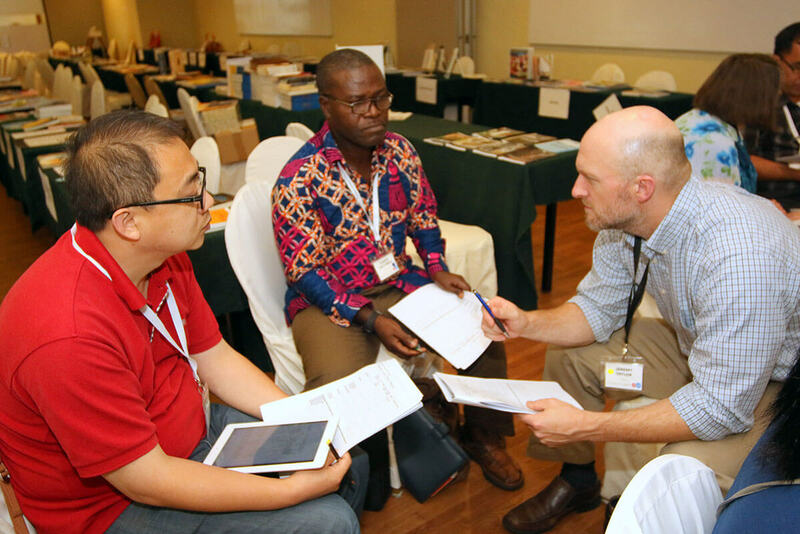 Pioneering editors from Africa, Asia and Europe share keys to their success in starting and growing a successful publication, plus things they learned the hard way through mistakes on their journey. Whether you are thinking about starting a publication, or already working on one, this session will give practical tips, counsel and inspiration to heighten your effectiveness in magazine publishing. Good design begins with words and ideas, and is, therefore, the responsibility of both editors and designers. In this workshop, you will learn how to create covers that sell. Participants are asked to bring current projects or design challenges. Come discover the unique strength of comics as a powerful resource to impact audiences in print or digital media. We'll take a look at a different styles, formats and genres that can be used for a variety of purposes such as evangelism, teaching, fiction writing, Bible adaptations and more. The popularity of comics is growing worldwide among readers of all ages! Learn how Christian publishing can take advantage of it. Check out this fun graphic by José Carlos Gutiérrez. Learn the fascinating process of creating illustrated publications for teenagers. From choosing illustration style, creating appealing characters, sequential art techniques, combining text and illustration, the editor and artist working process, and more. Bring your ideas, and let's make them come to life! Principles of good design apply toward readers of any age, but design of children’s books allows less margin for error. Children will push away books that don’t draw them in. This workshop looks at the concept, conditions and creativity needed for designing children's books that find their way into young readers’ hearts. During the afternoons, you may attend any workshop regardless of track. Up to 20 elective workshops will be available. In addition to the workshops below, some of the core morning workshops will be repeated in the afternoons. The final conference schedule will list the days and times when these workshops are offered. The list below will continue to be updated. Readers of poetry often traverse different topographies of ideas and experience, at once specific and universal, familiar and new. How do we make sense of meanings and methods in poetry? In this comparative analysis poetry workshop, be prepared to ponder, engage and respond, so as to rediscover the roles played by the literary arts in contemporary culture-making. 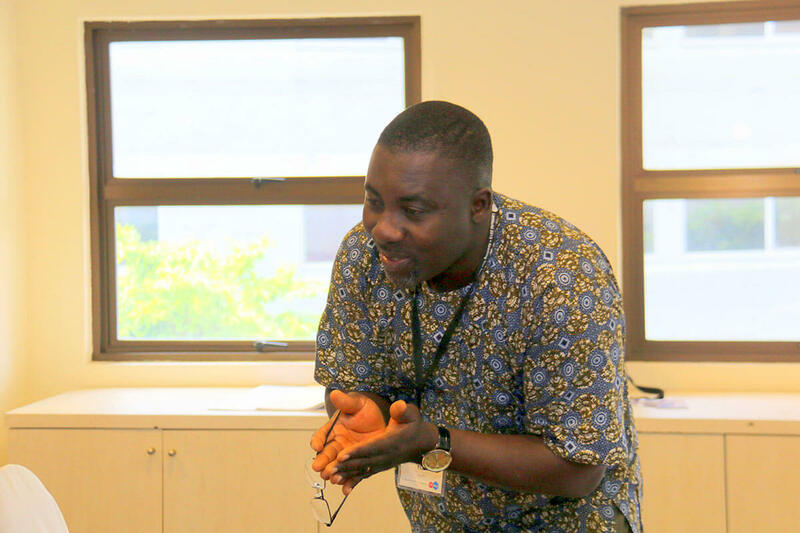 Workshop facilitator Aaron Lee is a Singapore-based bivocational pastor, pilgrim poet, technologist and community builder. Is your publishing financially sustainable? Can you survive and grow on income generated from publishing operations alone? Learn the six action points to achieve long-term financial viability in your strategic publishing ministry. Learn the basics of keeping your publishing financially afloat, preparing and analyzing financial statements, cash flow, and other tools so you will not always be in cash-crisis mode. As a great equalizer, how do you harness the powers of social media that meet readers needs and allow you to maximize awareness and sales? How do you develop and execute a social media strategy that produces loyal fans? Participants will learn the difference between screenwriting and other forms of writing. You will also learn the elements of how to adapt a novel to a screenplay. Simon David Hunter speaks from experience as a writer, director and producer of films, TV and novels. Participants will learn what the "Hero’s Journey Monomyth" is and how it is applied to contemporary films. Simon David Hunter is executive chairman of the International Screen Academy (ISA) and film producer of the Myth Film Company. He has written for NBC USA, Columbia Tristar TV USA, Nine Network Australia, Fred Silverman Productions USA, and numerous other production companies in the USA and Australia. If we have the Bible, why do we need biblical fiction? Is there room for one more fictional account of the life of Jesus? Why not read only the Bible? Because people love stories, and the biblical fiction writer weaves universal human problems with that special time in history when God dealt with His people in a unique way. Learn the how's and why's of this adventure. How can writers maximize opportunities offered by the web on various platforms to complement traditional publishing models? Learn basic website operations, differences between writing for web and print, and options for reaching a global audience. Children's picture books have the power to reach both adults and children when written well. Picture books with local content can connect with local readers even more meaningfully as readers can relate to the local settings. In this workshop, award-winning author Emily Lim will share tips on writing picture books and ideas to help you start telling the God-stories in your life.